From February 9th. to February 12th. we celebrate Carnival in the school. We have to follow some instruccions, it is fun!!!!!!!!!! 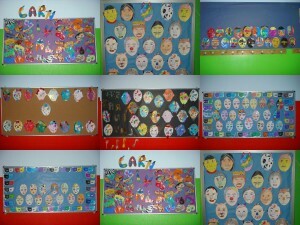 Pupils in Second and Third Cycle designe masks to decorate the corridor. This entry was posted in General on 10 febrer 2010 by nsarda2.